While it doesn’t get as much love as California or Hawaii, France is definitely one of the global hotspots for SUP racing. It’s leading the charge for Europe’s new wave of stand up paddlers and is home to several elite paddlers, such as Eric Terrien, Gaetene Sene and Greg Closier. Just about every weekend there’s a SUP race happening somewhere in France, and on Saturday it was Penfoul Beach (on France’s West Coast) that hosted the action. “Sunday 19 august was the 2nd HOWZIT beach race of this year. 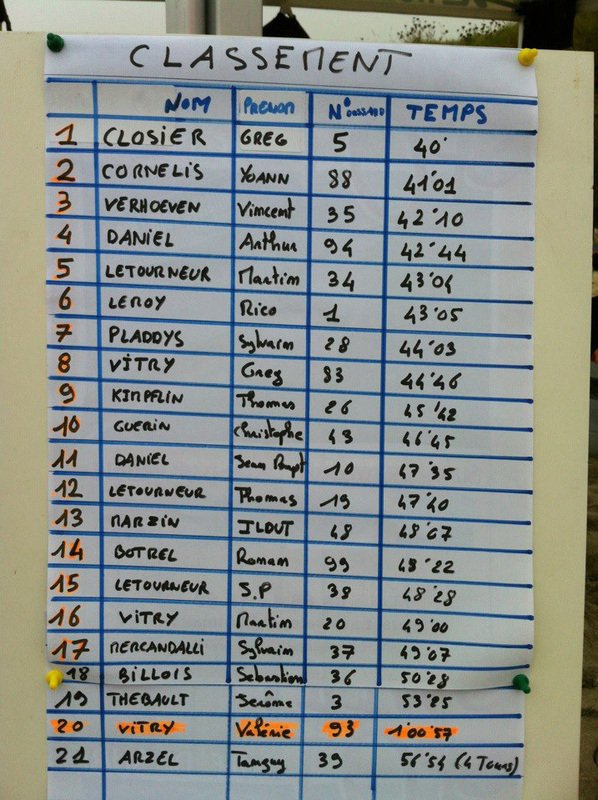 It was a 6km “technical course” race (like the Battle of the Paddle) with 500 Euros prize money. 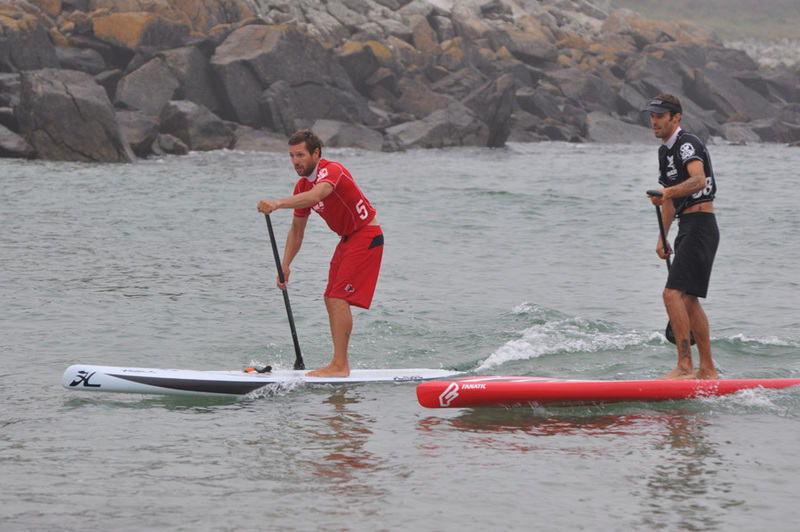 Some of the best French SUP racer were there and it was a good way to train for next month’s BoP in California. 21 paddlers showed up at 7 am at Penfoul Beach. Unfortunatly the weather was foggy – no sunshine for this “Summer” race! But at least we had some fun little waves. Several buoys were postionned on the impact zone, just like the Battle of the Paddle, which made the race interesting and technical. Greg Closier, local rider and winner of the previous (and much colder) HOWZIT SUP Race back in Febuary took advantage of his local knowledge to take contral of the race. In second we had Yoann Cornelis, one of the best french SUP racers who’s in very good form right now (and training hard!). Then we had a stong battle between Vincent Verhoeven, Arthur Daniel, young Martin Letourneur and famous waterman Rico Leroy for third. Everybody was stoked with this race. It was fun and friendly but there was still some fighting to make it around the buoys and catch the waves. That’s what makes these races so interesting, there’s strong paddle strokes but also long glides!